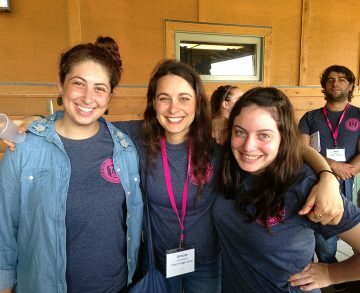 Join hundreds of the best Jewish camp counselors from Jewish camps across North America! WHAT IS THE CORNERSTONE FELLOWSHIP? WHY BE A CORNERSTONE FELLOW? Returning counselors are the “cornerstones” of their camp. Over the last 17 years, 3,600+ Fellows have participated in this transformative leadership experience. 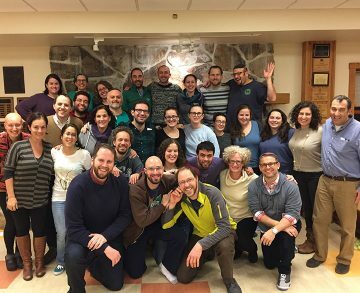 Being a part of the Cornerstone Fellowship includes attending a 5-day seminar in the spring, and bringing new ideas, programs and initiatives back to camp. 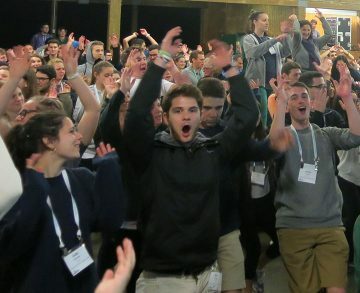 At the Cornerstone Seminar, 400 staff members from Jewish camps across North America come together for workshops, song sessions, and campfires, learning from seasoned faculty and from each other. 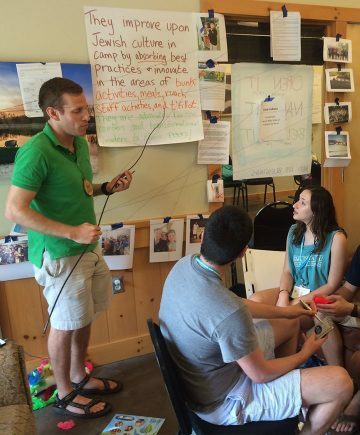 Fellows share “magic” and ideas among their camps, creating a new type of camp community. Cornerstone offers an important professional development opportunity for senior camp staff, who supervise counselors’ progress throughout the Cornerstone program. Both Fellows and senior camp staff are supported by a faculty Advisor, who provides coaching throughout the summer so goals, visions, and action plans can be implemented successfully. I was reminded of the experiences that have shaped who I am and where I am in my life. This reflection has helped me relate better to my campers and be a more successful counselor this summer. Cornerstone reminded me of the reasons that I am so strongly connected to camp and why I am still coming back. I learned how to create programs that are engaging without having a strict structural element. The best and most transformative part of the seminar was being with so many counselors from many different camps. 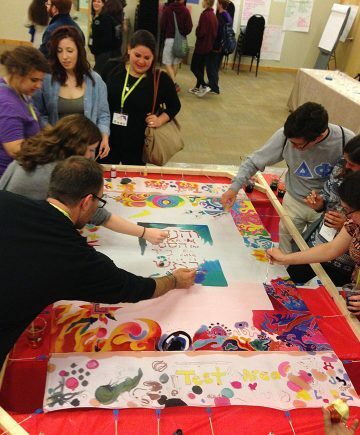 I am learning how to bring meaningful programs to camp that will elevate the Shabbat experience overall. It was really incredible speaking with other camp leaders and discussing the different ways in which our camps run and how we all facilitate Shabbat and related programming. Our Fellows LOVED the seminar! They came back with songs, dances, and programming ideas… They loved meeting people from all different camps, the programming, and feeling part of something bigger than just our own camp. 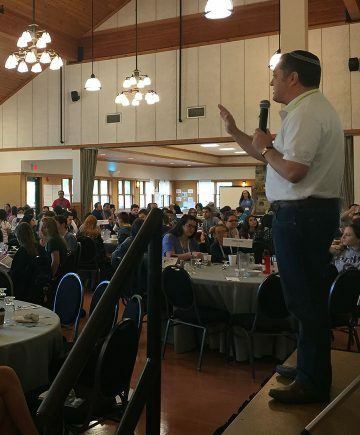 It was there I realized it wasn’t just my camp I loved, it was Jewish camping…There was something about the camp feeling that was transferable beyond any one camp... I left that conference knowing that Jewish Camping was not just something I did over the summer, but was a viable career opportunity. Cornerstone sessions have helped me become a stronger, more creative and effective leader and advisor. Through real life situations, hands-on activities, and community building, Cornerstone brings the magic of camp to these counselors before they even begin their summer.